It's Giselle Aubry's first time at court in Versailles. 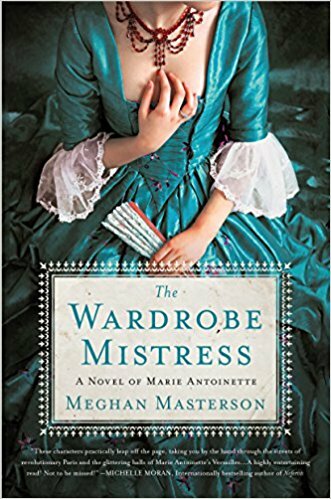 At sixteen, she is one of Marie Antoinette's newest undertirewomen, and in awe of the glamorous queen and her opulent palace life. A budding designer, it's a dream come true to work with the beautiful fabrics and jewels in the queen's wardrobe. But every few weeks she returns home to visit her family in the Parisian countryside where rumors of revolution are growing stronger. From her position working in the royal household, Giselle is poised to see both sides of the revolutionary tensions erupting throughout Paris. When her uncle, a retired member of the secret du roi, a spy ring that worked for the old King, Louis XV, suggests that she casually report the Queen s actions back to him as a game, she leaps at the chance. Spying seems like an adventure and an exciting way to privately support the revolution taking the countryside by storm. She also enjoys using her insight from Versailles in lively debates with Leon Gauvain, the handsome and idealistic revolutionary who courts her. Review: This is the story of Giselle, a sixteen year-old undertirewoman for Marie Antoinette. We see the French Revolution through her eyes, as well as how the royal family handled everything going on around them. Although Giselle ends up working as a spy for her uncle, she is sympathetic to the queen and her family. Giselle was not the most dynamic narrator and her love interest was uninspiring, but the historical piece of this book was very interesting. This book starts approx. 5 years before Marie Antoinette's execution and it was fascinating to see how the French people hated her and blamed her personally for many of the countries problems.